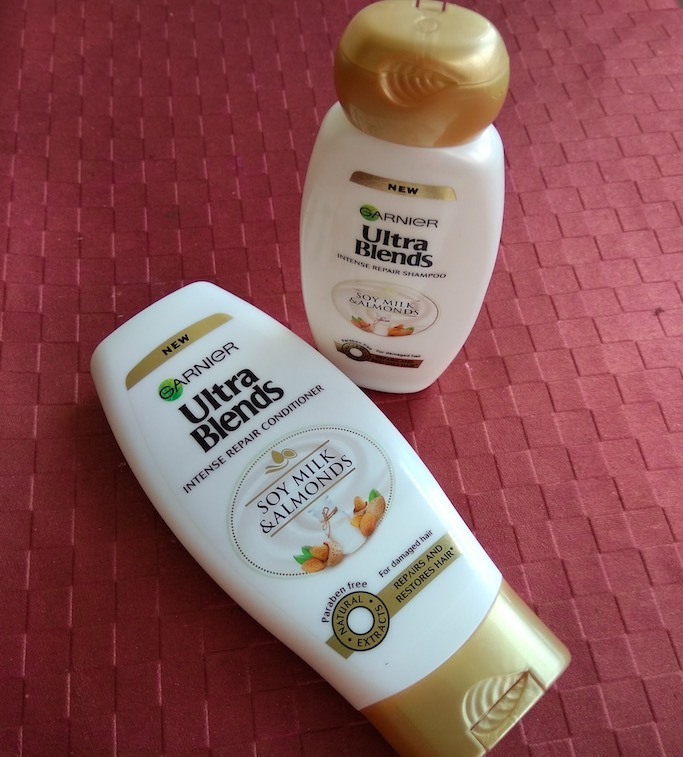 Hey everyone, today I’m reviewing the yet another shampoo conditioner duo from Garnier’s newly launched Ultra Blends hair care range. I’ve already shared the reviews of 2 variants – Royale Jelly & Lavender and Henna & Blackberry. 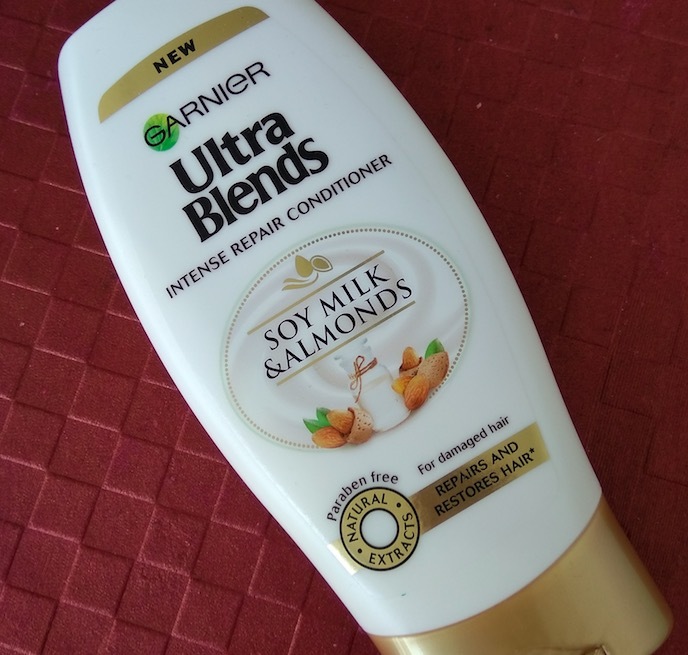 Today I’ll be sharing my views about the Garnier Ultra Blends Soy Milk & Almond Shampoo and Conditioner for intense hair repair. 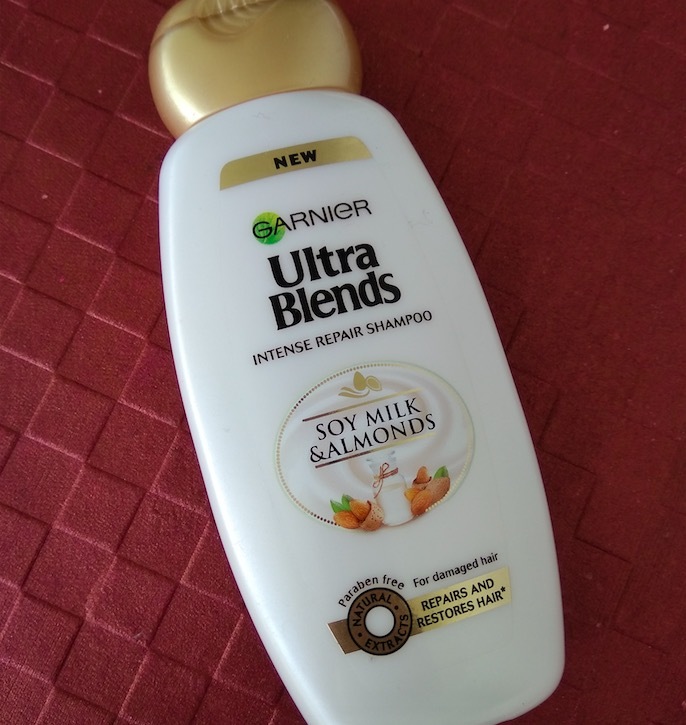 Packaging: Garnier Ultra Blends Soy Milk & Almond shampoo and conditioner come in flat white bottles with golden flip caps. The packaging is sturdy, convenient to use and you can easily carry these while traveling. 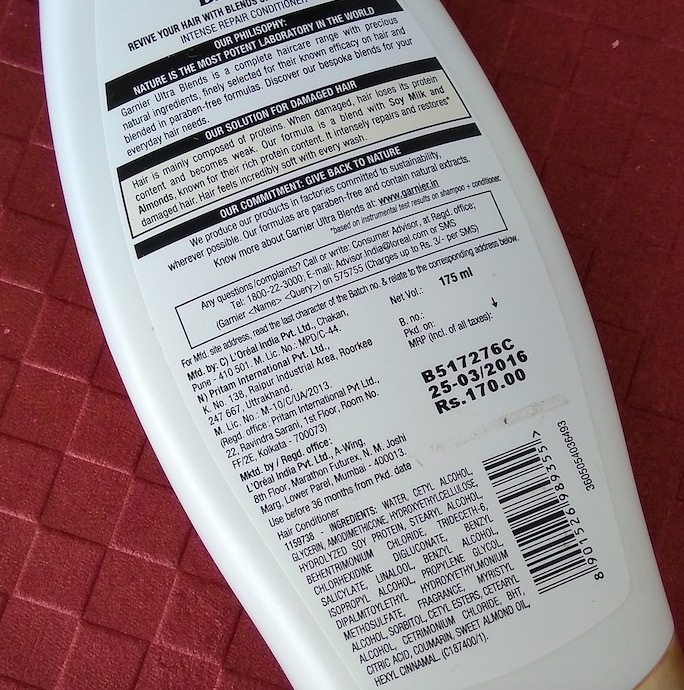 The bottles also contain the product related important information like benefits, how to use, ingredients, expiry date, and price. 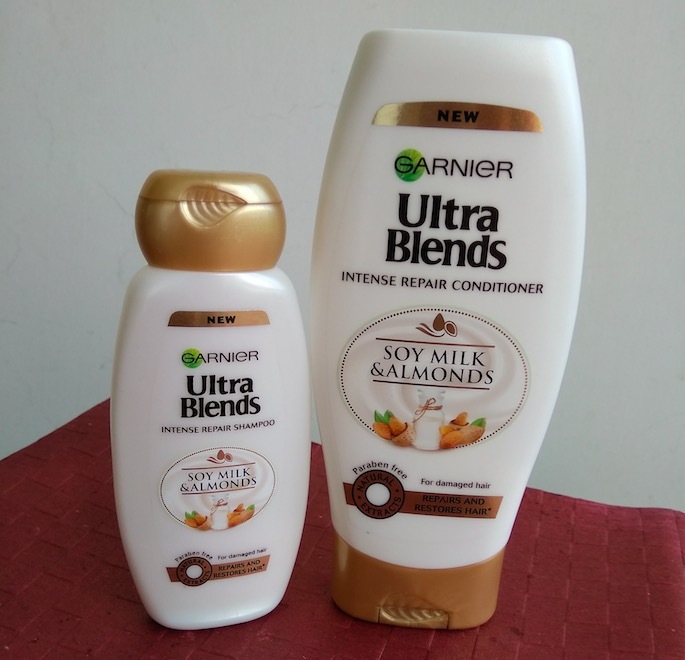 Texture & Fragrance: Garnier Ultra Blends Soy Milk & Almond Shampoo comes in an off white color and has a little runny consistency and conditioner, on the other hand, comes in milky white color with a thick consistency. 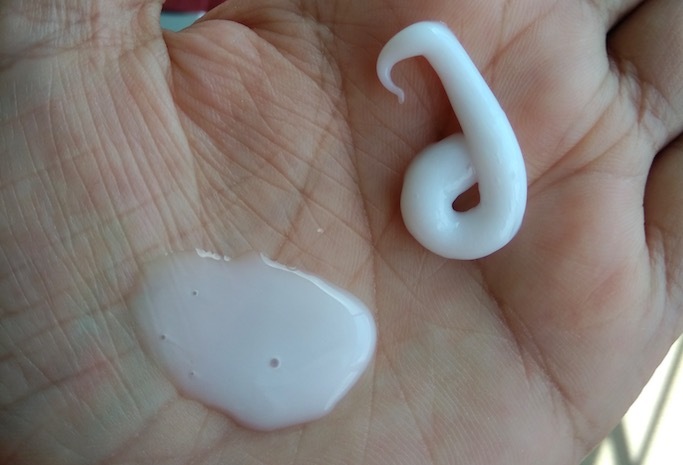 Both shampoo & conditioner come with a sweet creamy scent which is not very strong, though. 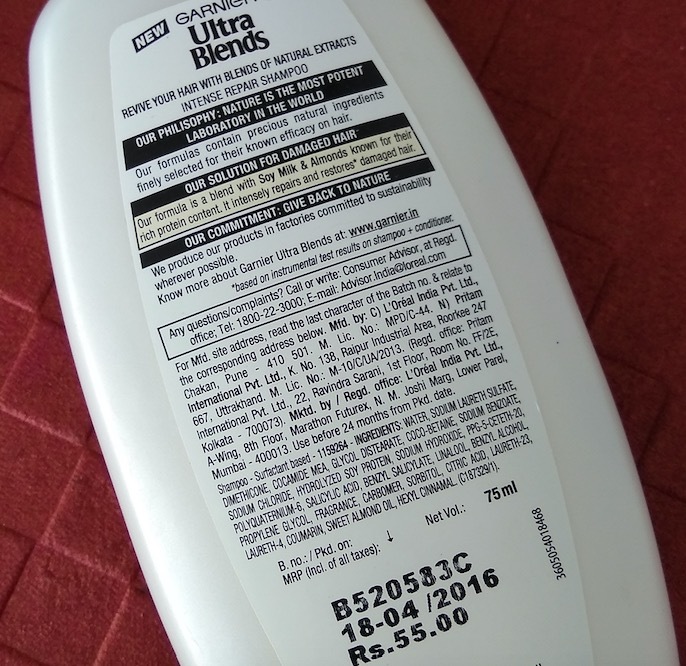 Price & Availability: The price of the Garnier Ultra Blends Soy Milk & Almond Shampoo is Rs.55 for 75ml, Rs.120 for 175ml, Rs.230 for 340ml, Rs.430 for 640ml and conditioner is Rs.75 for 75ml, Rs.170 for 175ml. 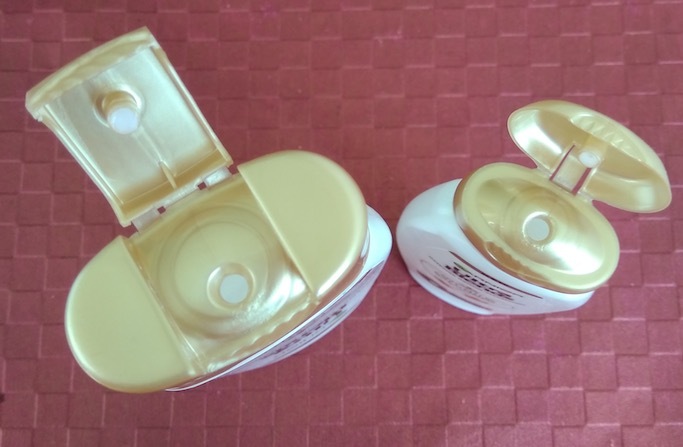 You can buy these from local departmental stores and also online at Amazon.in & Nykaa.com. 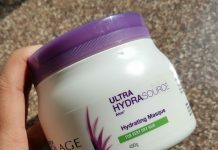 My Experience: I’ve very dense, frizzy and extremely dry hair and I prefer using the hair care products that provide extra nourishment to my lifeless hair. As this Soy Milk & Almond duo claims to repair & restore damaged hair by providing deep nourishment, I decided to try it. 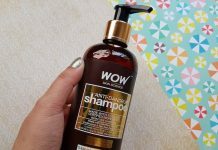 I generally dilute the shampoo in a mug and then massage it nicely onto my scalp & hair. It forms a rich lather and removes dirt & oil from the hair & scalp nicely. After rinsing the shampoo I applied a generous amount of the conditioner on my hair, leave it for 5 minutes and then rinsed the conditioner. After towel drying, my scalp feels clean and hair soft but it does nothing in controlling the frizz or nourishing the hair. After using this shampoo & conditioner duo for more than 10 times, I’ve not seen any difference in my hair texture. The duo enriched with soy milk (known for its high protein content) and Almonds (provide deep nourishment). The shampoo cleanses the hair & scalp nicely and can be rinsed off easily without leaving any residue on the scalp. The conditioner adds a little bit moisture to the hair. Quite long lasting as you will need a very little product during each use. Not very effective in controlling frizz neither provide any nourishment to my extremely dry hair. Not suitable for extremely dry & frizzy hair. 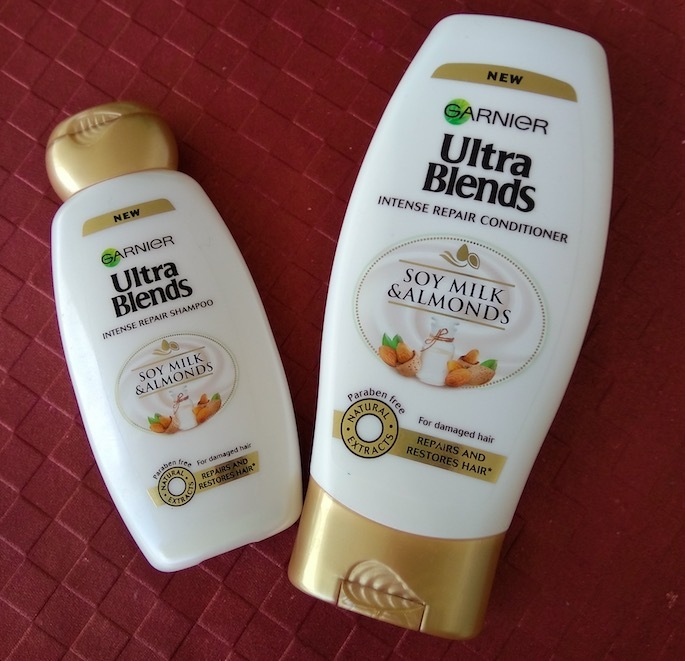 Overall I found Garnier Ultra Blends Soy Milk & Almond Shampoo & Conditioner average products. 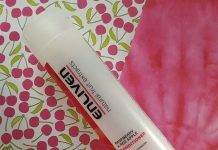 The shampoo does clean the hair & scalp nicely and the conditioner makes the hair a little bit manageable. But this duo didn't work for my extremely dry & frizzy hair. I'll not recommend this shampoo/conditioner for very dry hair, but if you have normal to slightly dry hair then you can give this a try. Can u suggest a shampoo and conditioner to prevent hairfall ? I have been facing some serious loss of hair for almost 3 4 months now and my hair has become really thin! I’m really worried please help!